What do you know about honeybees? 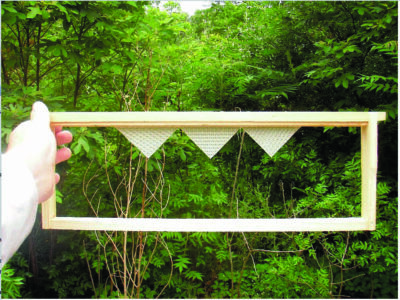 Do you have a clear understanding of the seasonal rhythms of your hives? Can you identify a healthy brood pattern? Diseases? Mite pressure? What is your record keeping style, and how can you pull data from said system? Do you know how queens and drones mate, and for how long? What do we know about the role of nurse bees in raising queens? These are all important skills to research and master before moving forward with queen rearing. Familiarize yourself with the honeybee life cycle, and the brood cycle. A worker’s brood pupation cycle is 21 days, a drone’s is 24 days, a queen’s is 14. You can use “bee math” to determine how many days or weeks until your hive increases brood or drone population or an emerging queen. In this article I’ll be speaking to beekeepers who have a clear understanding of these key points. We also need to think about sourcing honey bees. Where do you currently purchase or source new bee stock? Are we sourcing packages or breeder queens? Races of bees currently being cultivated in the US with success include Russians, Italians, and Carniolans. It’s important to use high quality queen stock from professional breeders to build your stock, rather than “package” queens, which can be inconsistent in quality. Choose a race that is suited to your climate, conditions and management style so you can maximize yourself. When I say “most success”, I’m thinking what’s the minimum input for the maximum output, based on my needs as an apiarist. I want to produce queens & starter colonies to expand my apiary. This means honey is less crucial. I keep Russian bees because of their reproductive proclivity, winter survivability and propolis making capacity. Propolis is a medicinal resin highly valued in the herbalist community. “Most success” will look different for every beekeeper. Finally, before you begin, consider what method you’re currently using to reproduce? Is anyone doing splits or walk away splits? If so, you already have a sense of what resources are necessary to make a new queen, and a sense of the pupation cycle of the queen, drone and worker honeybee. These skills can be directly applied to queen rearing. The first step in rearing queens is a strong analysis of your hive’s strength. How Do I Analyze Hive Strength? The queen’s health greatly impacts the hive’s health. The presence of drones indicates a healthy hive prepared to reproduce. 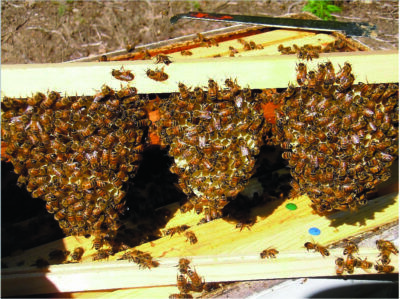 Beekeepers have various ways to manage for pests and disease load. It is important to track pest pressure to ensure you’re breeding from a healthy hive. You can do so using mite washes or mite drops. In our changing climate, it is critical to manage mite counts in Spring, Summer, and Fall, so you’re aware of pest pressure throughout the year, and the impact it has on the hive’s health. It’s equally important to keep diligent records, but find a system that you can manage quickly in the apiary. Hives used for reproduction should survive a minimum of one full year, so that you’ve seen how it manages pest pressure for 1 full year. There are three mite sampling strategies alcohol washes (shake bees in alcohol which dislodges the mites and enables a count), sugar rolls (similarly shake bees in sugar to dislouqdge mites) and mite drops. I use the first two. I use powdered sugar rolls in Spring and early Summer, in order to keep populations up (sugar rolls don’t kill the bees the way alcohol washes do), and alcohol washes in late Summer. The sugar roll sampling strategy will work better in low humidity conditions. Use caution when using sugar roll sugar rolls can give inconsistent results. If you don’t let sugar sit for long enough mites won’t release and if it is too humid the mites won’t release. When using both mite and alcohol washes use ½ cup of bees a total sample size of 300 bees is recommended. If I have a high threshold in Summer I switch my bottom boards to screened boards and use the sticky board/drop method to track increases or decreases in mite numbers after treatment. Russian bees, the race of bees I run, tend towards aggression in Fall and I minimize inspection to treatments and feeding, though as our Fall is warm here in New England, I’m finding it increasingly necessary to track mite drops in Fall so I can respond with late season treatments such as oxalic aced, if I see a spike in mite populations after the honey harvest. How Do I Mate Strong Queens? My top two criteria are queens who demonstrate hardy and productive characteristics and queens who are resilient with minimum input. Again, there will be variance in the characteristics you’re seeking to propagate based on your practice. Queens should survive a minimum of one winter as well. I think it’s important to talk about where our queens are from, and who is breeding them. What are the practices at the queen breeder’s apiary, and how are they different or similar to your own? What is their track record for disease and aggression? Their survival success rate? Their lineage tracking method? Research, planning and education are as important to a good beekeeper’s practice as they are to a farmer’s or gardener’s. A good breeder will be able to discuss lineage, practices and honeybee race with ease, and you can use this information to make informed decisions about who you procure your lines from. A strong understanding of the state of the brood is crucial in assessing readiness to mate. Healthy brood means healthy workers, a strong concentric spiraling pattern is an indicator of brood health (see images). Some chewed out brood cells are a sign of Varroa resistance and strong grooming behaviors. There should be a handful of chewed out spots but not an abundance. More mature brood should always be in the center of the spiral with less mature uncapped brood and eggs on the outer edges. The presence of drone comb is as important as the presence of plentiful worker brood. Twenty to twenty five percent of your total mature brood should be drone brood for successful mating. Most small scale beekeepers will use what is called an open mating system, this means queens you produce will be free to mate with drones within mating distance of your apiary. When the queen embarks on her mating flights, she’ll need to mate with many drones. Beekeepers will strategically locate hives within flight distance of each other to maximize the family type and number of quality sexually mature drones available for mating. Even if you can’t strategically place drone producing hives, it’s important that for every queen rearing colony you also propagate drone rearing colonies to promote drone production simultaneous with the queen’s sexual maturity. Drone brood’s pupation cycle is 24 days. Drones are sexually mature at ten days old. In order for a colony to act as a drone producing colony for mating, drone comb should be given to the drone mother colonies 35-40 days before the sexually mature drones are needed. When open mating, it is important to consider the number of queens you’re producing in any one yard, to minimize the overproduction of queens, which can lead to inbreeding and poor sperm collection. I believe the Miller Method is the most accessible for small scale queen-rearers to begin with. Why? It is simple with minimal techniques to be mastered. There’s no extra equipment needed and there is little or no cost, giving you ample opportunity to experiment without incurring additional materials cost. Beekeeping is expensive, especially with the increase in losses beekeepers are experiencing across the world. Any time we can save money and time while learning a new skill, we should. Step 1: Cut undrawn comb into a zig zag, like a shark’s tooth. You can also cut partially drawn comb that is unattached at the bottom. This will promote egg laying in the newly drawn cells and/or wax. Step 2: Insert Cut comb into a robust hive with a healthy queen you’d like to use for mating. Step 3: Check the hive after 1 week. You are waiting for the comb to be drawn and for your breeder queen to lay eggs in the cells along the edge. Once the eggs are observed you’re ready to make up a queen-less nucleus colony. The eggs should be 1-3 days old and should be standing up in the cells, like small grains of rice. Eggs that are “laying down” have already hatched, and are no longer viable for queen rearing using this method. Step 4: Insert the drawn comb and egg frame into a healthy and robust queenless colony with no open brood and plentiful young nurse bees and capped brood. Worker bees in a queen-rearing hive should be thick with newly emerged nurse bees. 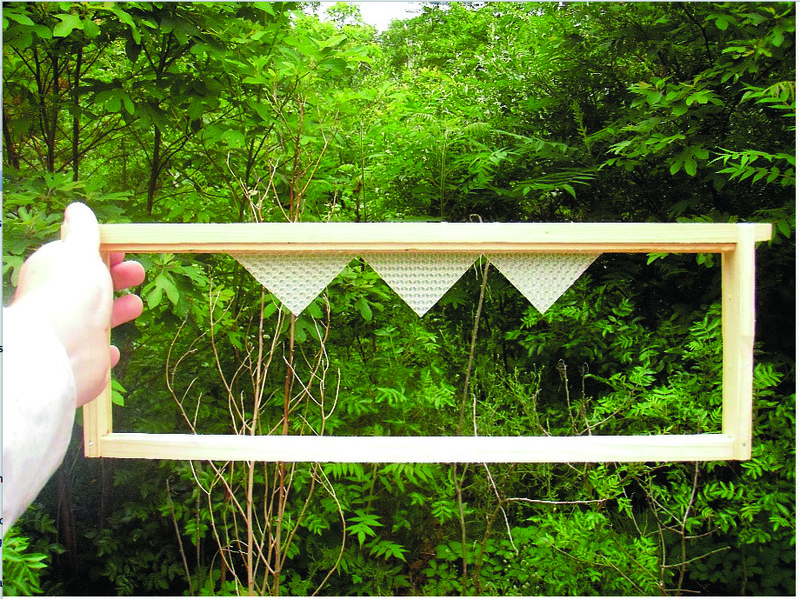 Frames from a breeder hive should be covered in young nurse bees. You need plentiful nurse bees to make queen cells, and generous nectar, and pollen production to contribute to robust nutrition for all stages of larval development. Note: The queen-cell rearing colony should be made up and queenless for 24 hours before you insert the drawn comb and eggs you wish to incubate. This colony needs ample nutrition and plentiful nurse bees to “finish” cells. Your queenless colony will “finish” the cells, i.e. draw them out to completion. How Do I Cultivate Quality Queen Cells? Healthy queen cells have a generous amount of royal jelly as their epicenter. The royal jelly is imperative for healthy queen nutrition. Step 5: Queens incubate for 14 days so on day 12 cut and move cells into nucleus colonies. Ten days after the transfer your cell will be capped. Do not disturb the queen cells during this late stage of development. Wing buds are developing during days 9-11 and if you disrupt/move/tilt cells you may impact this wing development. Queens who cannot fly can not mate, no wing development means queens cannot fly. If you wait too long, all additional cells will be destroyed by the first queen to hatch. Cells are best moved on day 12 or 13 of the queen’s pupation. Queens will hatch between the 13th and 15th day, and take mating flights for approximately two weeks. Step 6: Make up a series of queen-less nucleus colonies on the 11th day. Nucleus colonies should be given one frame of pollen and one frame of honey to ensure there’s enough nutrition for emerging queen and worker larva. Nucleus colonies should be made up of 2-3 frames of capped brood, honey, pollen and 2-3 frames of nurse bees. The nucleus colony also needs capped brood, to hatch and care for mated queen’s larva. These colonies of capped brood & nurse bees should be left to rear their queens. Within 3-4 weeks these small nucleus colonies will be emergent nurse bees and new foragers, with a mated queen. Where the brood is pulled from doesn’t matter, as long as it is healthy, with minimal varroa mite infestation disease. Do not put in uncapped brood — uncapped brood requires more resources and comes with the risk that the hive may begin to rear these into queens, thus nullifying your work propagating queens you prefer. Nucleus colonies should be checked for eggs after 3-4 weeks. Caging queens is not optimal, queens are best left to mate openly. Queens who emerge and go on mating flights according to the natural cycle have shown to be more productive over a longer period of time. Based on research conducted by the Bee Informed Partnership we know that queens who are caged and then mated tend to be less productive. Caged queens who are mated or unmated need to be fed, and incubated at a temperature of 92-95 degrees Fahrenheit. It is best to use a reptile incubator or warm spot in your house. Queens do not have the ability to regulate their own body temperature during fluctuating temperatures without the assistance of the hive. Though they can feed themselves, they can die if not provided with proper nutrition. Marked queens help us accurately track the year a queen was bred and the line she was bred from. We can use this data to then determine a line’s survivability and viability over time. Marking queens gives you the ability to know if your queen’s been superseded or swarmed, which helps with management when you’re busy. I recommend using a paint marker such as Posco. A small dot of paint on the abdomen is all it takes to mark a queen. Avoid the mark getting paint on the wing buds or thorax. The workers of the hive may kill a queen or supersede her if they sense she’s damaged, if she can’t share pheromones successfully. My strategy for marking queens is to use a queen clip catcher ($3), push up queen cage one handed queen catcher. I catch a queen in the clip catcher, transfer the queen using my ungloved hand to transition the queen to the push up cage/one handed queen catcher. In here I can gently press the queen to the top of the cage using the foam padding and mark her without damaging her. Minimizing the handling of the queen means minimizing the stress, and thus the stress pheromones that may accompany it. The 2 cage method also minimizes damage to my queens from improper handling. Once marked I give a queen 1-2 minutes to dry so the bees can’t clean off the paint, and the queen doesn’t smell different, which could result in balling. After she is marked I release the queen into her colony by opening the cage on the top bars of the brood nest. The queen will crawl down into the hive, and the hive can be closed up. Whether you are marking queens or not the Miller Method is an excellent practice to get you started on the queen rearing journey. I’ve included links below to reputable sources, and a link to a handy Queen Rearing Calendar from our friends at The Bee Yard. Happy queen raising and best in bees!